Each year, thousands of dogs and cats needlessly suffer from accidental ingestion of household poisons, including popular houseplants, medications, common foods and pesticides. Household hazards lay in wait..
DO YOU KNOW WHERE TO LOOK FOR THEM?? *Acetaminophen- found in more than 200 formulations such as Tylenol and Vicodin; 1 pill can kill a cat and cause kidney failure and liver damage in dogs. *Ibprofen- Commonly found in Advil, Midol and Motrin. 1. Use covered trash bins inside the house to prevent access to disposed medications, empty cleaning bottles, dental floss and food. 2. Keep pets out of the garage or shed, away from oil and antifreeze leaks from cars. 3. Don't store cleaners under your sink unless the cabinets are latched and the cleaners are stored properly. 4. During the holiday season, avoid plants/trees that are rooted in standing water. 5. Your vet knows best! Pets aren't invincible and tend to hide an illness until it's too late. 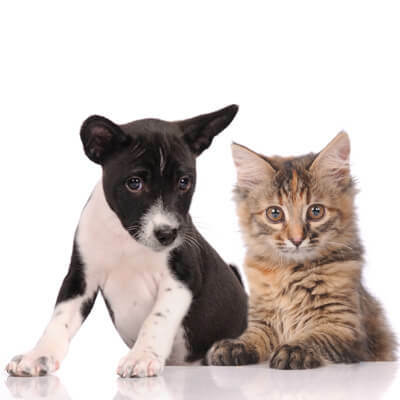 If you suspect your pet has ingested a poison, DON'T WAIT! Take him to your trusted veterinarian immediately!